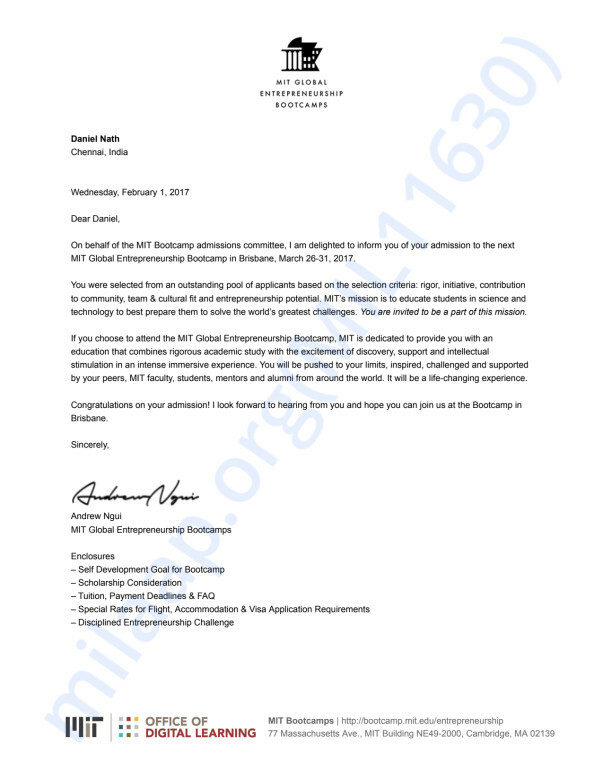 I recently got admitted to MIT Global Entrepreneurship Bootcamp 2017 a highly selective new ventures leadership program by MIT Sloan which selects a cohort of 60-70 from 35 countries. 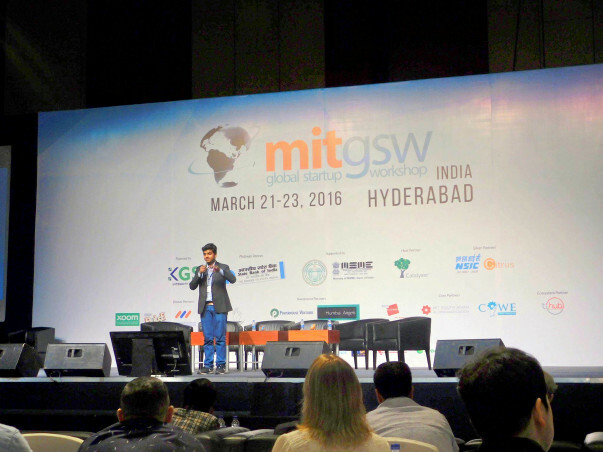 This comes after we were selected as one of the Top 40 finalists in the $2K Elevator Pitch competition at MIT Global Startup Workshop 2016 held in India last year. A computer science engineering undergrad, I also love to work on social projects. Currently working with Prof. David Levine, former economic adviser to US President Bill Clinton and Chairperson at UC Berkeley on Hygiene Heroes a hygiene curriculum being pilot tested across 14,000 rural schools in Tamil Nadu in partnership with UNICEF, Teach for India and Government of India. Following which it will be eventually be implemented across 7 developing countries. MIT Global Entrepreneurship Bootcamp would be a life changing experience and would help me in understanding and developing more sustainable business models not only for a for profit but social projects as well at a global level. Please help me in raising funds for MIT GEB 2017. In return I would be able to do any of the following. Any contribution regardless of the amount would make a huge difference to me. If there is anything else which could be done in return for receiving sponsorship, kindly let me know. Would be happy to discuss. Please do share the word around. The official admit letter from MIT Sloan has been attached. Thank you so much for your time.